A few of my Favorite things (to do) … at Christmas time around the Puget Sound area; 25 to be exact. Tree lighting ceremonies: Tacoma, Seattle & Gig Harbor. Seattle and Tacoma kick off their seasons in November just after Thanksgiving. Seattle has a huge ceremony with a parade to kick off the shopping season. Westlake Center will surely get you in the holiday mood with beautiful lights, horse-drawn carriage rides and fantastic shops. The Gig Harbor tree lighting ceremony is December 4th at 5pm this year. Santa arrives via firetruck … accompanied by carolers for a festive good time! The Nutcracker: a Christmas tradition. Tacoma City Ballet premiers 12/11/2010 at 5pm at the Pantages Theater downtown Tacoma. Get an early start at the McCaw Hall in Seattle beginning December 3rd this year. Gig Harbor does not have Nutcracker … instead check out Annie at the Paradise Theatre until December 12th. Finally, this year they released “The Nutcracker in 3D” … on the big screen. Check your local listings. Breakfast with Santa: New to Gig Harbor this year, Breakfast with Santa kicks off December 4th from 9-11 at the boys and girls club in GH. Bring your camera. 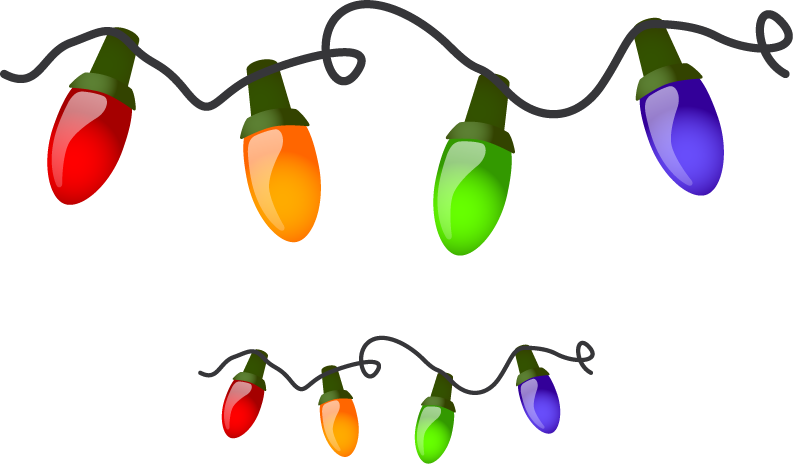 Zoo Lights : Zoo Lights at Tacoma’s Point Defiance Zoo is sure to delight. Sip hot cocoa, warm up to sharks, ride a camel or just enjoy the half-million count light show … Clark Griswold would be envious! From November 26 to January 2nd. Fantasy Lights at Spanaway Park : Okay, rather stay warm and cruise through the lights in the comfort of your own car? Then Fantasy Lights at Spanaway Park are for you. November 25 – January 2, 2010. Stroll through the park and enjoy the elaborate displays accompanied by the radio station’s local high school holiday music. Sponsored by Pierce County. See a movie : It’s that time of the year … Oscar buzz! My favorite theater is Galaxy Theatre in Uptown Gig Harbor. Wherever you are located, there are plenty of great films out this time of the year! Holiday Bazaars and Shops: Gig Harbor’s first holiday bazaar is Tidefest , December 4th and 5th … all day. Additionally, check out the Beach Basket Christmas Shop … a must see. There are so many of these locally at schools and elsewhere that it’s too much to mention here. The Christmas Ship Cruise : The Argosy Christmas Ship Festival has several options and all include holiday cheer with Santa, choir performances and fun. Check out the link for more information and locations/docks. Scrooge the Musical : Scrooge the Musical begins December 10-19th at the Champion Center. I have personally seen this performance at least 4 times. It is a wonderful production and sure to please the whole family with the true meaning of Christmas. 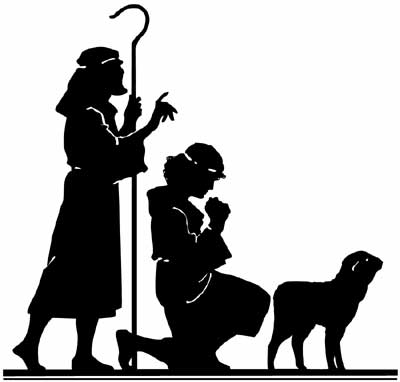 The Living Nativity : The Living Nativity at Discovery Baptist Church recreates the scene of Bethlehem with live animals, actors and of course baby Jesus … away in a manger. Festival of Trees : Festival of Trees kicks off December 2-5 with several ways to get involved and support the Mary Bridge Children’s Hospital. Dec. 2nd is “Ladies Night Out”, Dec. 3rd is the Gala (formal with Auction), Dec. 4th is the “Jingle Bell Jam” an the 5th is open to the general Public. Snowflake Lane in Bellevue : Snowflake Lane and Celebration Lane in Bellevue, Washington … enjoy the season’s best shopping center. Microsoft has been good to Bellevue 🙂 . Streets are lined with toy soldiers and snowflakes that come alive for a holiday show filled with music, drumming and snow ! Celebration Lane is much the same only anticipating the new year with bubbles and livelier music. Winterfest at Seattle Center : Winterfest at Seattle Center will surely get you in the Christmas mood. Check out the Winter Train and Village and Ice Rink. Leavenworth Snow Train : Dreaming of a white Christmas? Don’t count on it, unless you head to the hills … Leavenworth that is. The Leavenworth Snow train rolls out December 4, 11, 18th. Day trips or overnight trains are both available. HarborFest : HarborFest is a holiday tour of decorated Gig Harbor area homes. Sponsored by Altrusa. December 11th from 10-4. Candlelight Christmas in the Harbor : Gig Harbor Candle Light Christmas takes place from December 9th -12th this year. It’s capped off by a Free concert at Skansie Park … “Festival of Christmas Concert”. Don’t miss the “lighted-boat parade”. Santa : My favorite santa would have to be Bellevue Square. Of course Nordstrom and JC Penny have their santas in Tacoma … locally. Uptown Gig Harbor has Santa Saturdays on December 4, 11th and 18th. Many folks like the downtown Seattle santa … never been or had the patience to wait :). The Apple Cup & other Bowls : Since my Father was a cougar and my mother a Dawg … the Apple cup was always exciting at my house. It’s always fun to watch all of the championships and bowls throughout the month of December … I’m a fan. Go Dawgs (sorry Dad). 12/04 at 4pm. Jingle Bell Run : Tacoma’s Jingle Bell Run for Fun 5k run or walk starts at Wright Park in downtown Tacoma at 1pm on December 22nd. Seattle’s Jingle Bell Run 5k run or walk is December 12th. Both events help raise money and/or food/supplies. Wear your jingle bells or costume … bring non-perishable food or old running shoes. 25 Days of Christmas on ABC Family : ABC’s Family network presents the 25 days of Christmas. (channel 39 for me) December 1st kicks off with “How the Grinch Stole Christmas”. See the schedule for all the Christmas classics like Rudolph the Red Nose Reindeer, Frosty the Snow Man and many others. The Garden Room : The Garden Room in Uptown Gig Harbor is what used to be a Peninsula Gardens traditio. Once a huge warehouse of Christmas decor and trees, now a small store in Uptown. They, former employees of Peninsula Gardens, have created a winter wonder land and beautiful displays with Christmas decor galore. Don’t miss … Ladies Night Out at the Garden Room December 5th from 4-8pm. Chris Anderson Holiday Concert : Chris Anderson (think Michael Buble’) singing big band standards and carols. I have seen Chris Anderson perform live twice: once at Jebino’s Italian restaurant as the “singing bus boy” and once at my house (he performed live at Christmas last year). Saturday 1:30-3:30pm at the Gig Harbor Pierce County Library . The Singing Christmas Tree : Celebrate Christmas and enjoy tradition with Tacoma’s Singing Christmas Tree production, “I Believe”. This dazzling show has become a treasured holiday event for many families. Life Center in Tacoma December 4th – 22nd. 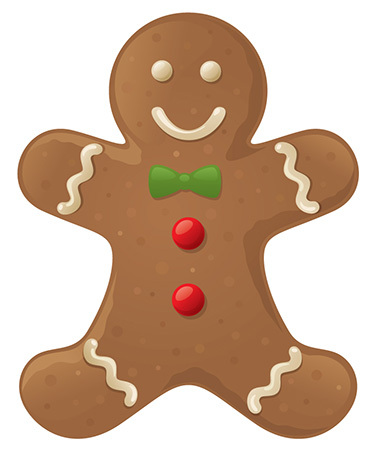 Gingerbread Jamboree : Tacoma’s Children’s Museum hosts … The Gingerbread Jamboree. Held in the Hotel Murano’s Bicentennial Pavilion . Bring the family and enjoy watching your kids create and make messes … NOT in your kitchen :). Nutcracker cast from Tacoma’s theatrical production on hand. December 5th from 10-1:30pm. Family time and traditions : This tops the list. Whether it’s inviting family over for gingerbread house creation, cookie decorating or just Christmas festivities … it’s what Christmas is all about ! Merry Christmas! This entry was posted in Around Gig Harbor, Charitable event, Christmas, Festivals, Garden and Nursery, Gig Harbor Entertainment, Gig Harbor parks and recreation, Kids, Run, TGIF, Uncategorized, workshops and tagged annie paradise theatre, argosy christmas ship cruise, beach basket christmas shop gig harbor, breakfast with santa gig harbor, chris anderson music, fantasy lights spanaway park, gig harbor candlelight christmas, gig harbor galaxy theater, Gig Harbor tree lighting, harborfest gig harbor altrusa tour of holiday homes, jebino's singing bus boy, jingle bell fun run tacoma seattle, leavenworth snow train, living nativity discovery baptist church gig harbor, Nutcracker tacoma city ballet, peninsula winterfest, Scrooge champion centre tacoma, Seattle tree lighting, snowflake lane bellevue, tacoma children's museum gingerbread jamboree, tacoma festival of trees mary bridge children's hospital, tacoma singing christmas tree, Tacoma tree lighting, the garden room uptown gig harbor, tidefest gig harbor, uptown gig harbor santa, winterfest seattle center, zoo lights point defiance tacoma. Bookmark the permalink.